Readysell 8.22 is now rolling out to all Readysell 8 customers. In Readysell 8.22, we’ve put more focus on improving overall usability and reducing training when onboarding new users. 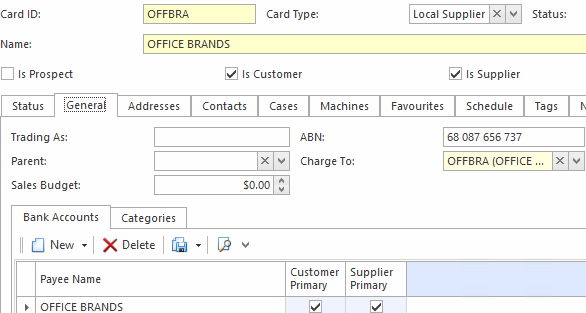 Sometimes it can be tough to tell exactly which fields are required when creating a new card or product, or entering in a new transaction. Inevitably, you miss something, hit the “Save” button, then get the dreaded “Validation Errors” screen letting you know you’ve failed. To avoid this whole, humiliating situation, Readysell now gently highlights compulsory fields with a yellow hue. Printing barcoded product and shelf labels out of Readysell is a great way to improve the efficiency of your warehouse. You can now scan existing product barcodes straight into the product labels screen to generate and print additional labels when required. When you forget to fill in a field and get a validation error, it can sometimes be difficult to pin-point exactly where the field lives on the screen. 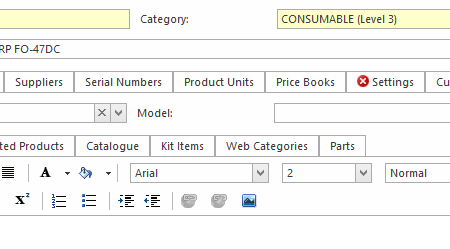 Instead of hunting through each tab, Readysell will now highlight the tab on which any affected fields live. You’ll be able to correct the error quickly and move on with the job. 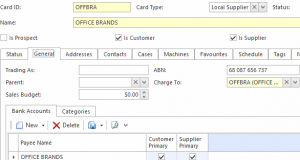 Add an optional primary contact phone number to delivery dockets.